Kuching – Interhill Group, owning company for both Pullman Kuching and Pullman Miri Waterfront Hotel entered into an agreement with the Sarawak Biodiversity Centre (SBC) for the collaboration on the sale of LitSara Products during the product launching ceremony held at Pullman Kuching today. This agreement between SBC, Interhill Group, Pullman Kuching and Pullman Miri Waterfront marks the first ever corporate partnership for the LitSara products’ introduction. The collaboration is part of Interhill and its hotels CSR initiative in giving back to the indigenous community. Among the attendees of the launching ceremony were the Guest of Honour, Sarawak State Secretary, YB Tan Sri Datuk Amar Haji Mohamad Morshidi bin Abdul Ghani, who is also the Chairman of Sarawak Biodiversity Council, Yang Berusaha Dr. Haji Wan Lizozman Bin Wan Omar, Permanent Secretary of Ministry of Resource Planning and Environment who is also the Deputy Chairman of SBC, Dr. Charlie Yeo, Chief Executive Officer of SBC, representatives from state ministries, federal agencies, LitSara communities, NGOs and friends of SBC. Albert Hu, Group Executive Director of Interhill Group signed the agreement on behalf of Interhill Group, Eric Tan, Chief Operating Officer of Interhill Group (Hospitality Division) signing on behalf of Pullman Kuching and Pullman Miri Waterfront, while SBC was represented by YB Tan Sri Datuk Amar Haji Mohamad Morshidi bin Ghani, Sarawak State Secretary as well as the Chairman of Sarawak Biodiversity Council and Dr. Yeo Tiong Chia, Chief Executive Officer of SBC. In his address, Tan Sri Morshidi commended Interhill Group and Pullman Hotel on their keen interest in the CSR Project and encouraged the group to play an active role in helping to create awareness on the LitSara® project and promote the concept of benefit sharing. He also expressed his hope for the communities who have made the LitSara® project possible to keep up the momentum and collaborative efforts with SBC. 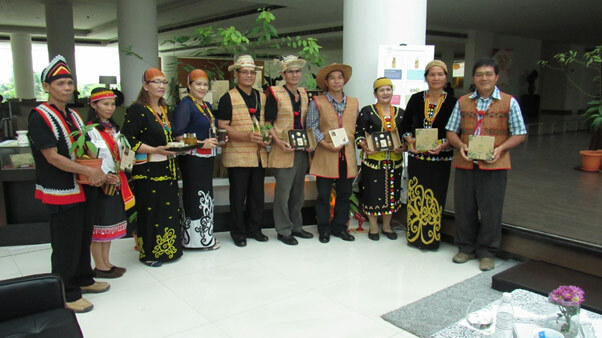 Through this collaboration, the State aims to create awareness on benefit sharing, as well as garner support from corporate bodies to utilize local products that are developed through research on the biodiversity of Sarawak. In the long run, alternative socio-economic activities for the local indigenous communities, can be generated through a market for high-value and innovative products derived from traditional knowledge and scientific research. LitSara® is the trademark name for an essential oil extracted from a tree known as Litsea cubeba. The tree grows widely in the highlands of Sarawak, and has been used over generations by indigenous communities for both healing and culinary purposes. SBC works closely with these indigenous communities, whose traditional knowledge on the plant had led its team of researchers, to the discovery of the essential oil. Laboratory testing has shown that the essential oil, trademarked as LitSara® has a good anti-microbial, anti-inflammatory and repellency properties. The LitSara® project currently involves five indigenous communities – Bidayuh of Kampung Kiding in Padawan, Kelabit of Pa’Ukat and Pa’Lungan in Bario, and Lun Bawang of Long Kerebangan and Long Telingan in Lawas. The communities carry out sustainable harvesting of raw material, distillation of the essential oil for pre-commercialization, and propagation of the plant itself. 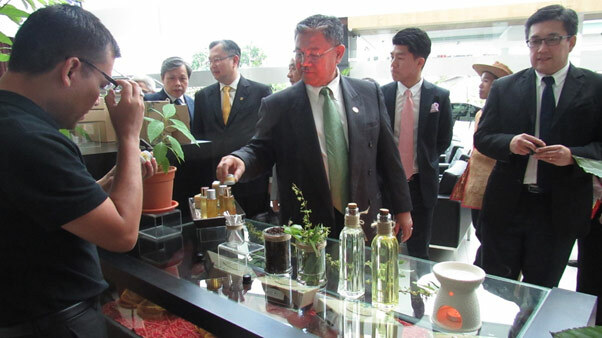 Under the agreement, LitSara products will be displayed for sale at both Pullman Kuching and Pullman Miri Waterfront. Both hotels will be using its best effort to actively market and promote the products whereby all profit from the sale of the products will be allocated towards the indigenous communities who are involved in the development for the LitSara product. In addition, this collaboration would bring an added value to the indigenous community by having a platform for the products to be provided and displayed in the proximity of the public and international tourist residing in both hotels. This later can help to boost the sales of the products which in return can help to elevate the economic and income of the indigenous community. Interhill Group seeks to gradually improve their effort in giving back to the community through partnerships and collaborations in order to reach out to a larger group of communities. Interhill hopes that similar collaborations can be achieved in the future with many other parties in which it can help to benefit the community at large. 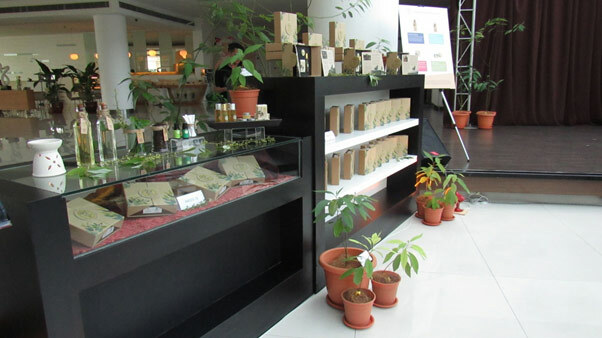 LitSara products booth is now available at Pullman Miri Waterfront hotel lobby. For more inquiries, visit www.sbc.org.my or contact 082-610610, or visit Pullman Kuching or Pullman Miri Waterfront.